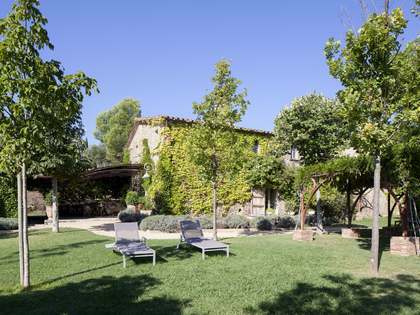 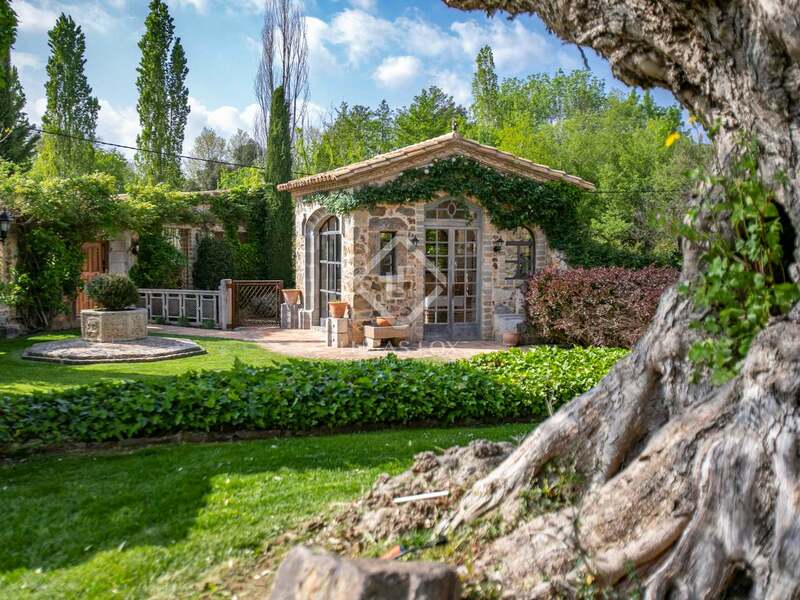 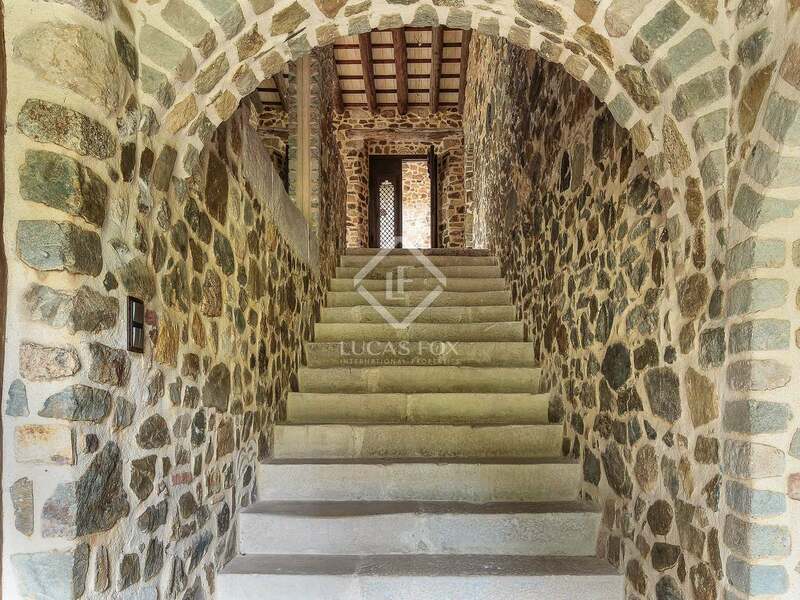 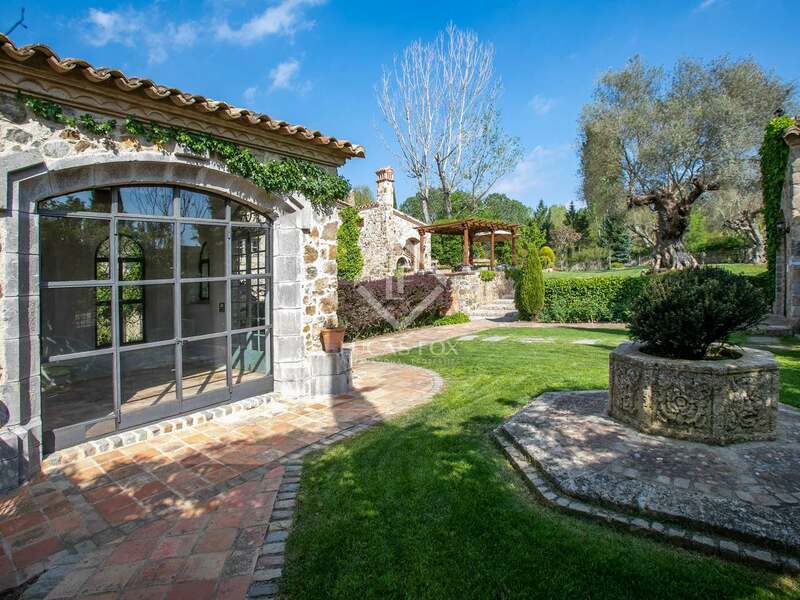 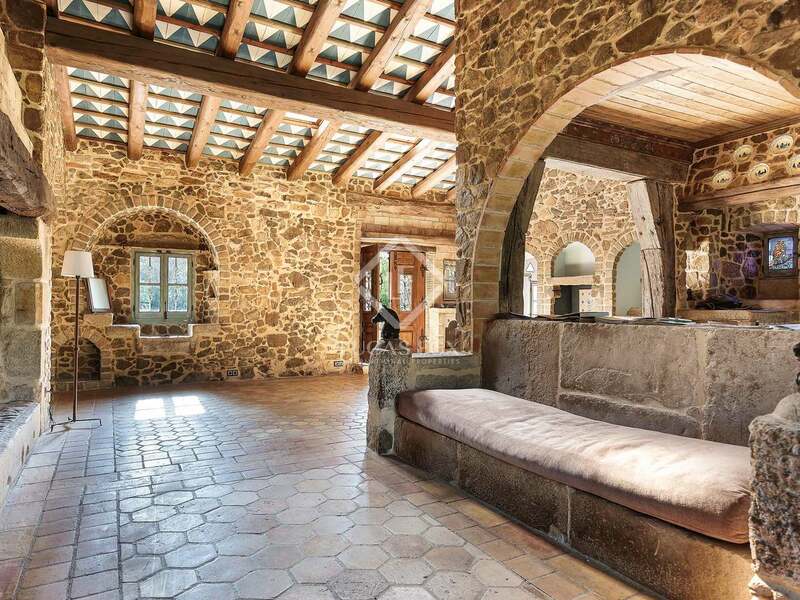 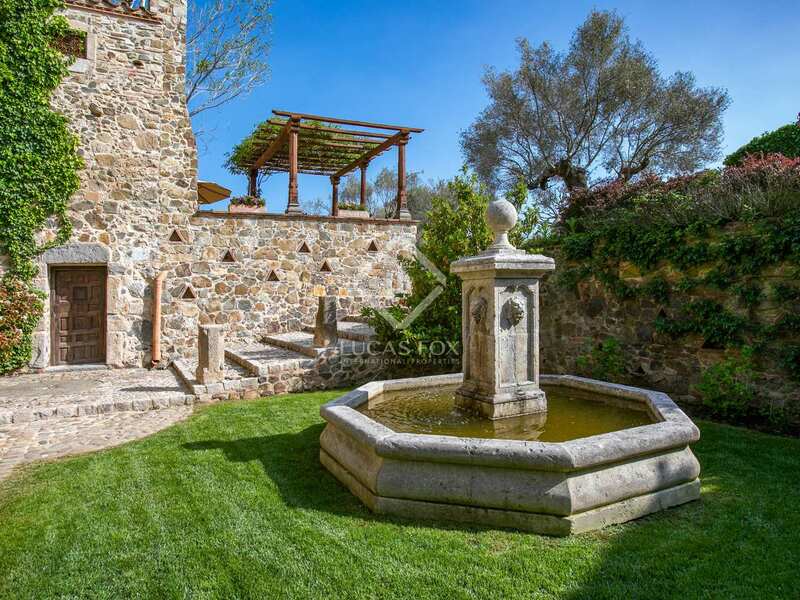 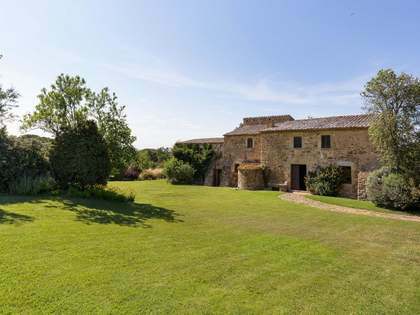 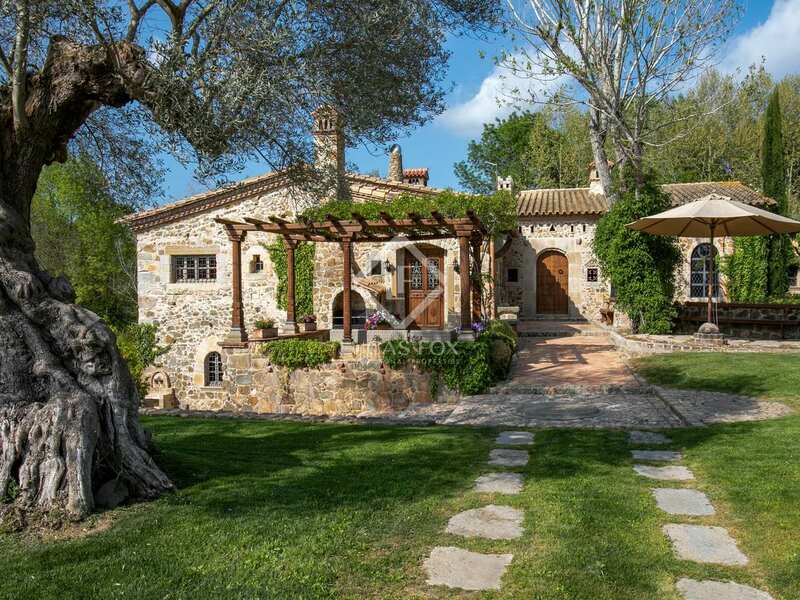 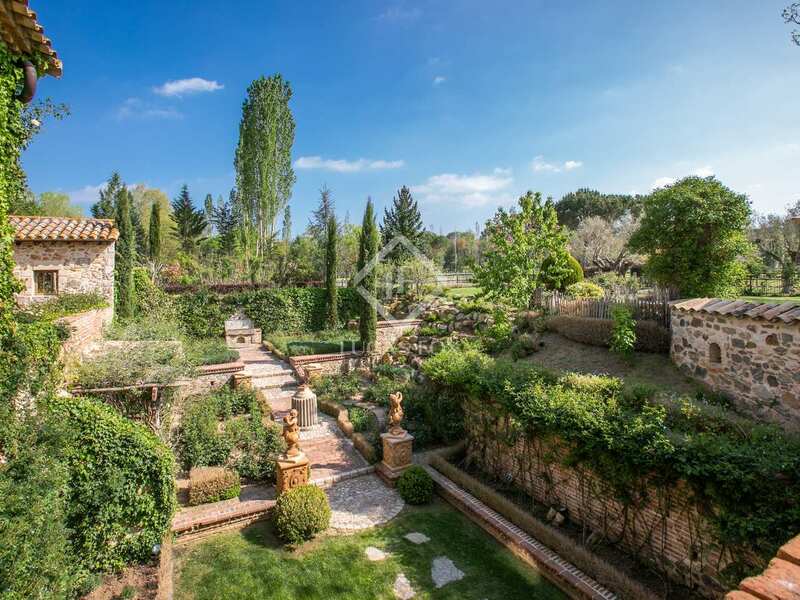 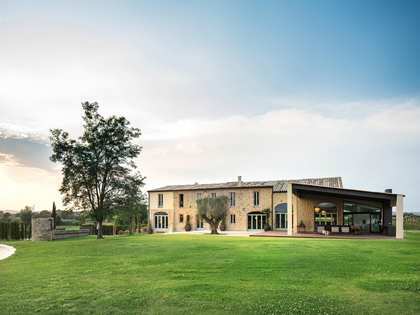 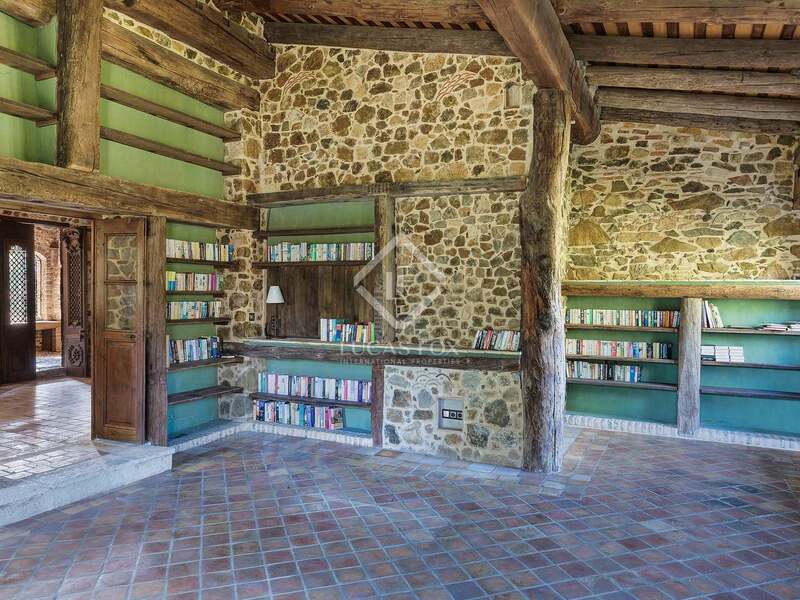 This stunning period house, fully restored between 2003 and 2007, is one of the Baix Empordà's standout country estates. 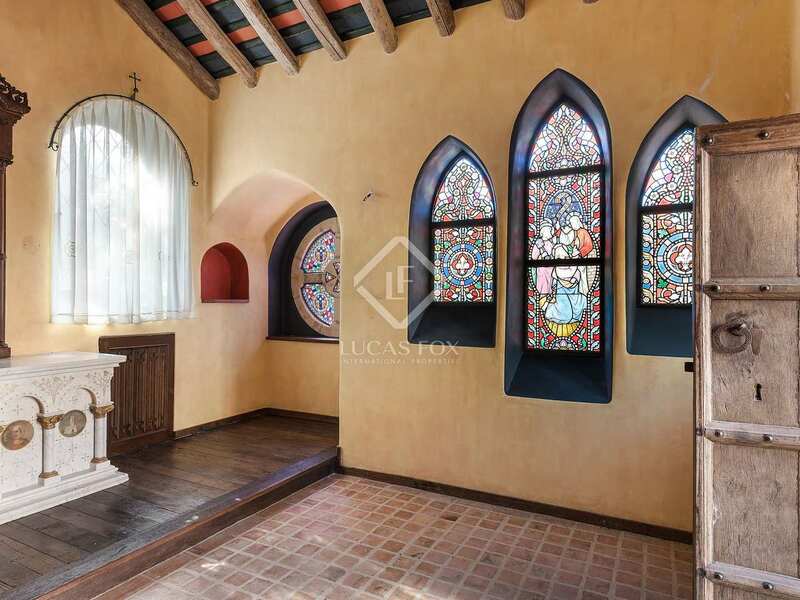 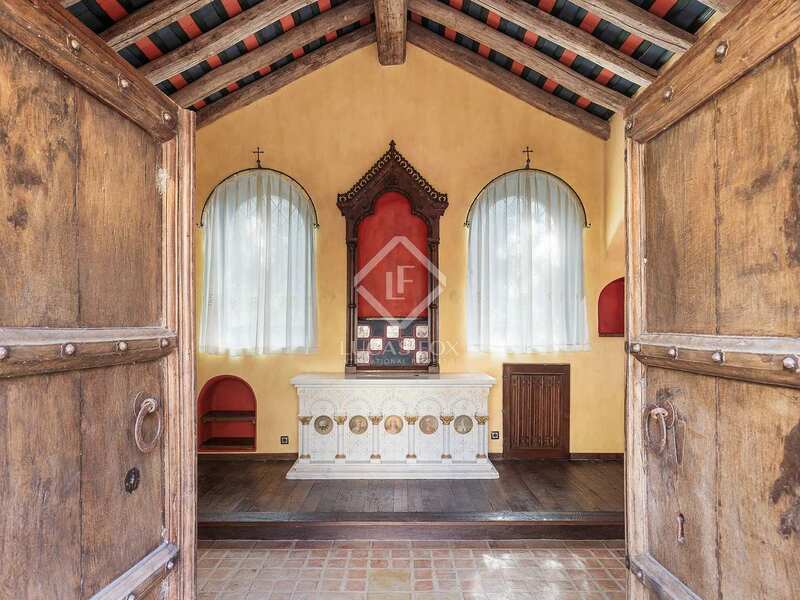 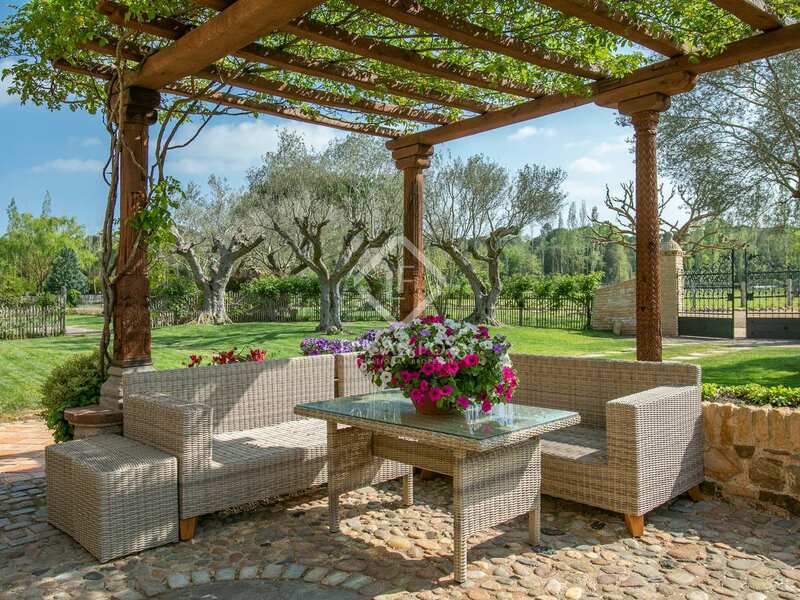 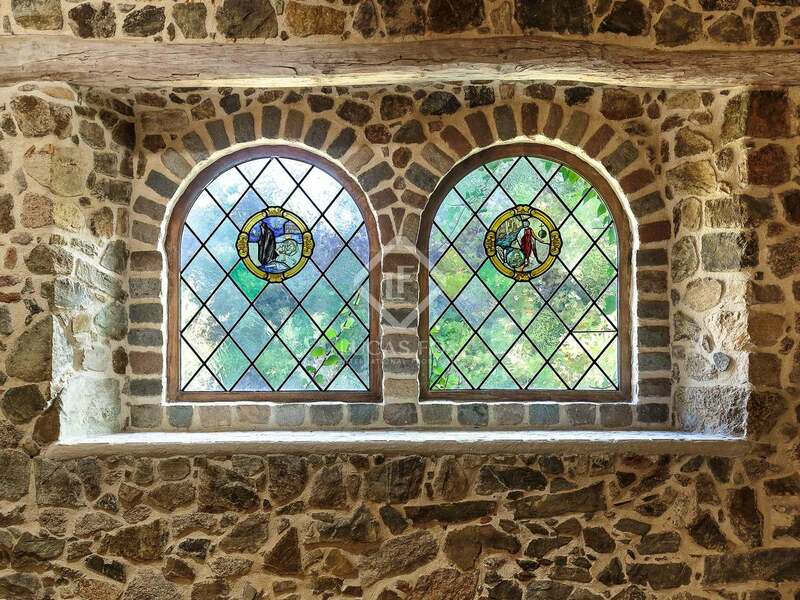 The property boasts a private chapel and is surrounded by beautiful gardens with several open and covered porches, a rose garden, fruit tree orchard and a swimming pool. 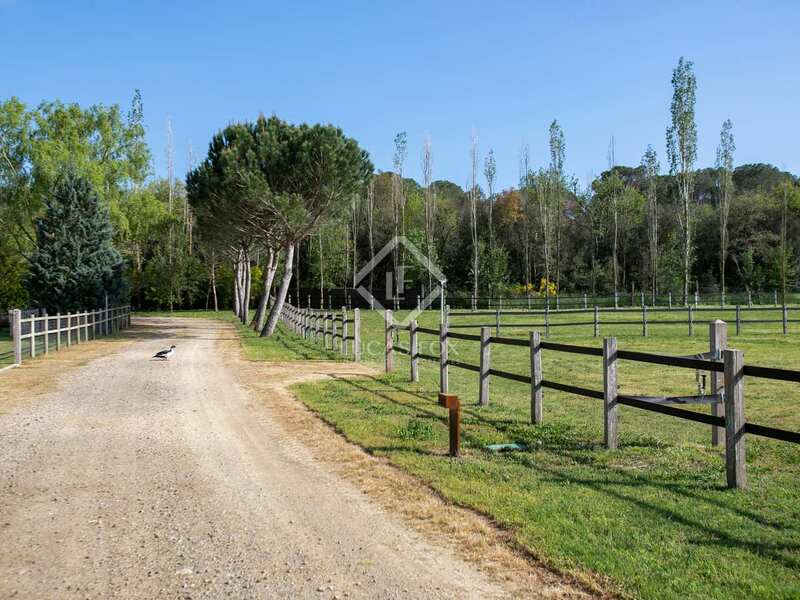 There are 2 hectares of fully fenced land immediately around the property. 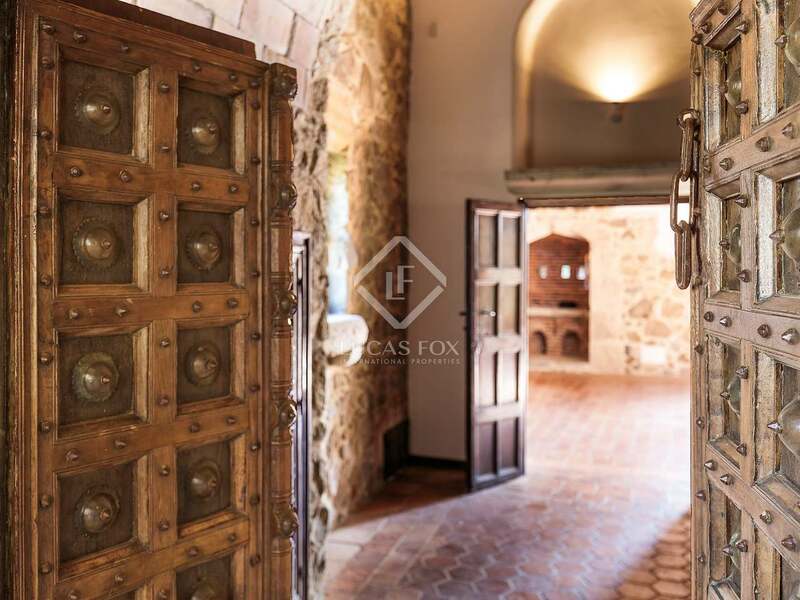 The house offers generous sized living areas, including an attractive country-style kitchen (90 m²) with a large open fireplace, a spacious adjoining dining room and a generous living room with a central fireplace and 17th century stained glass windows. 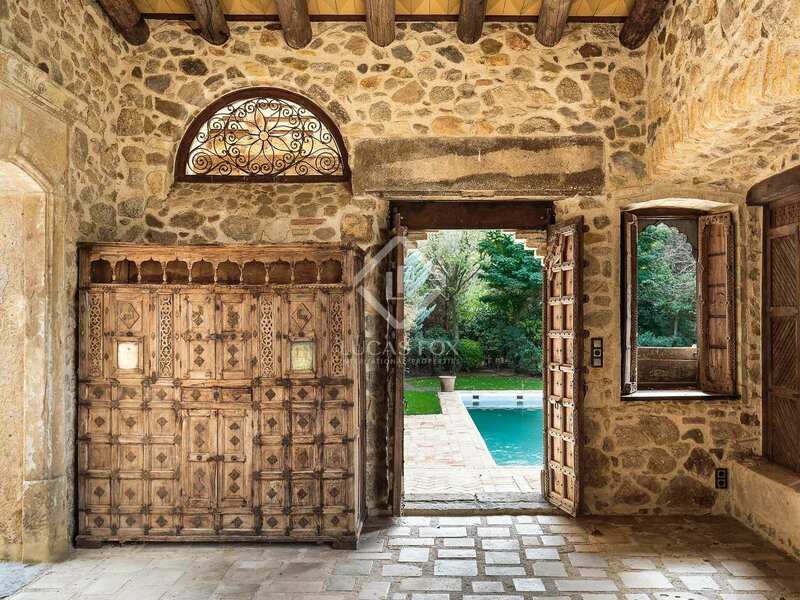 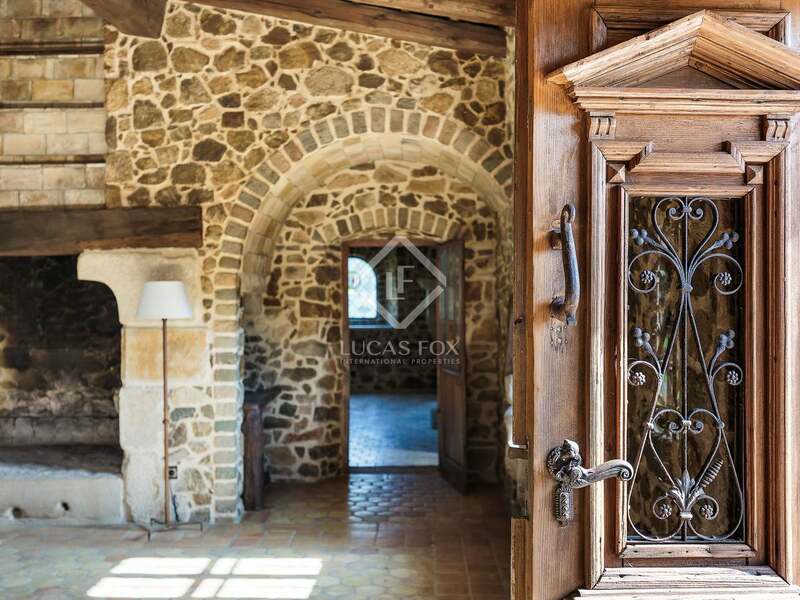 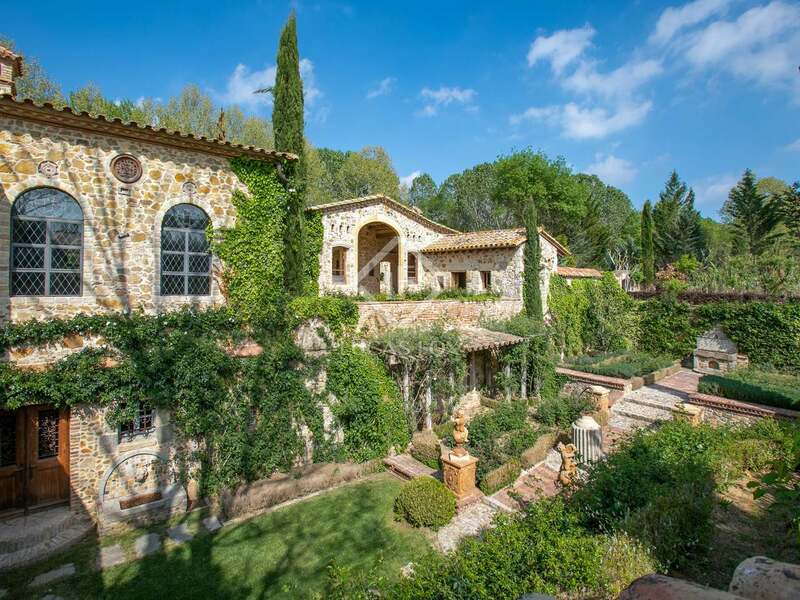 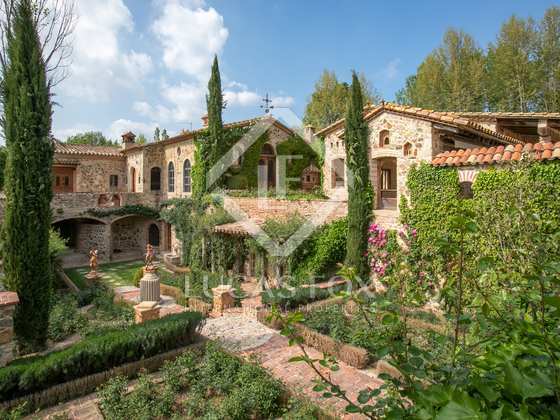 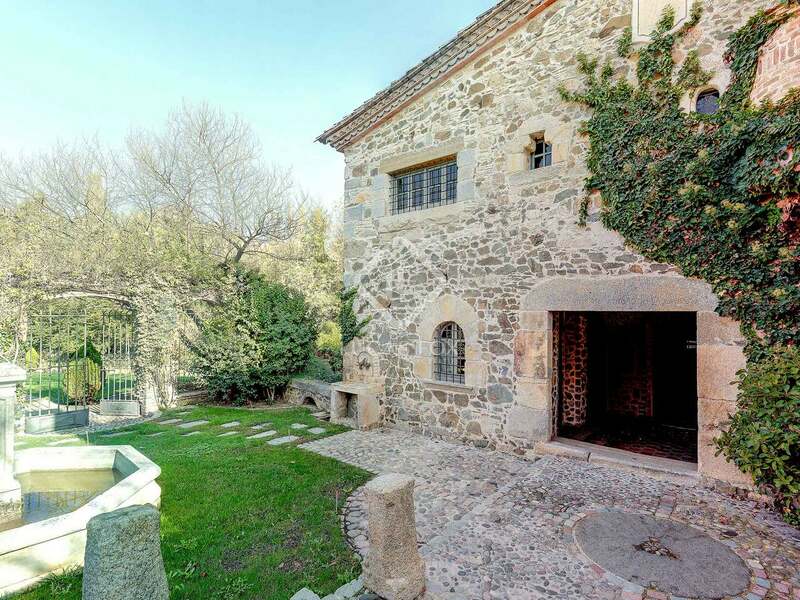 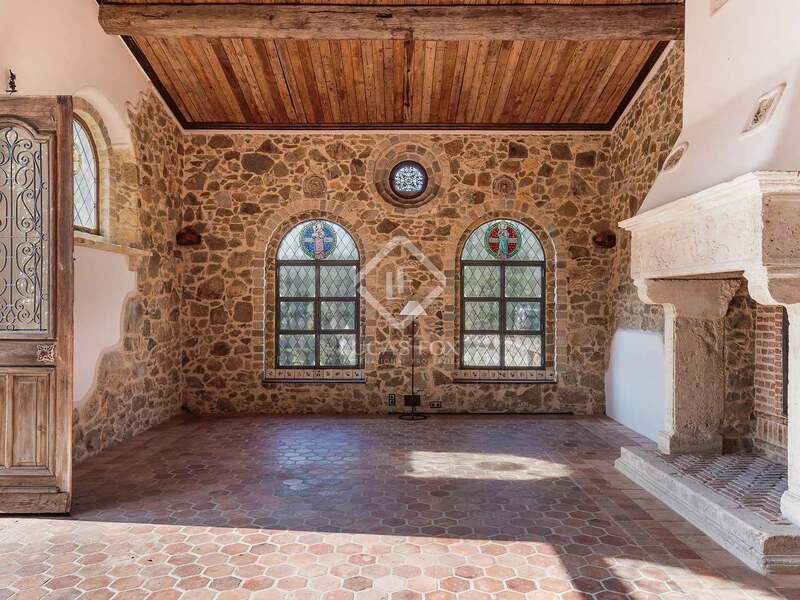 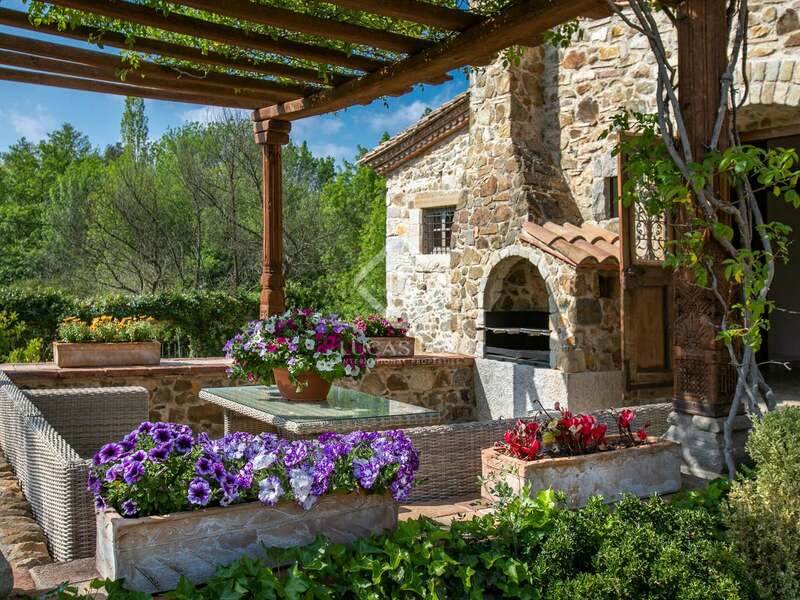 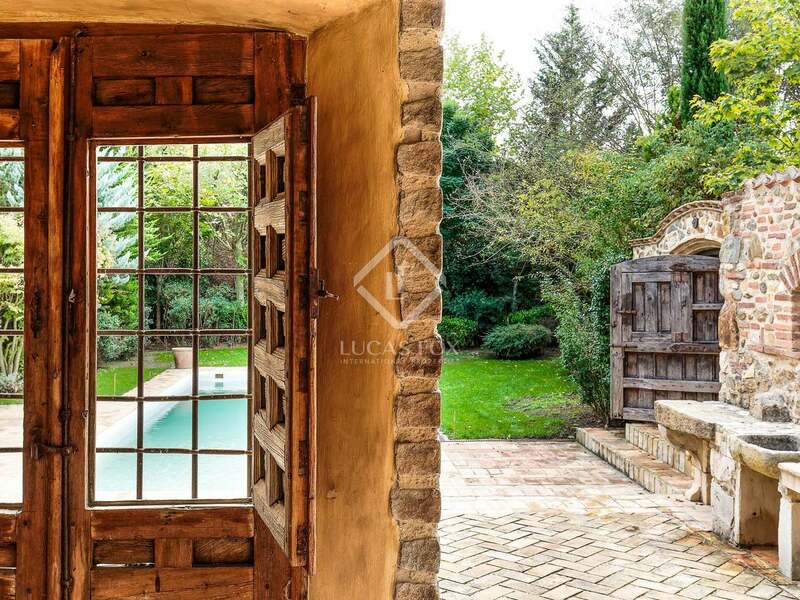 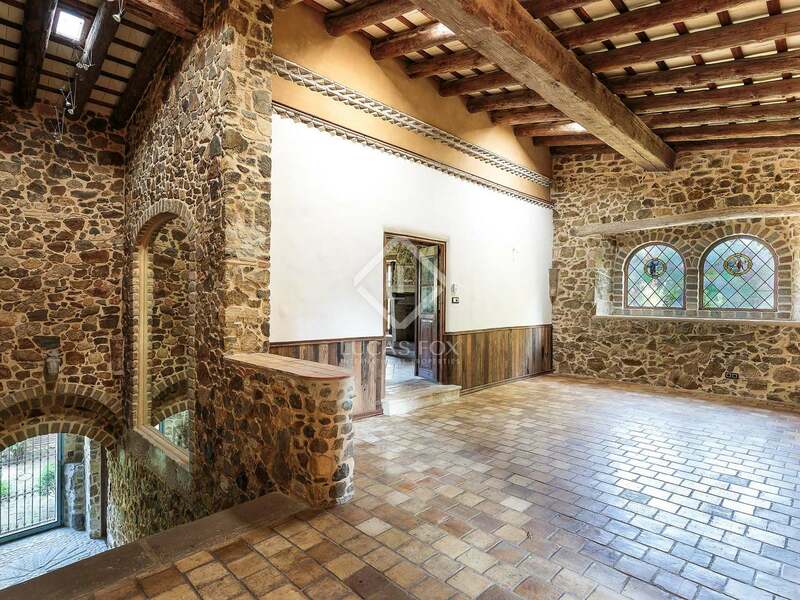 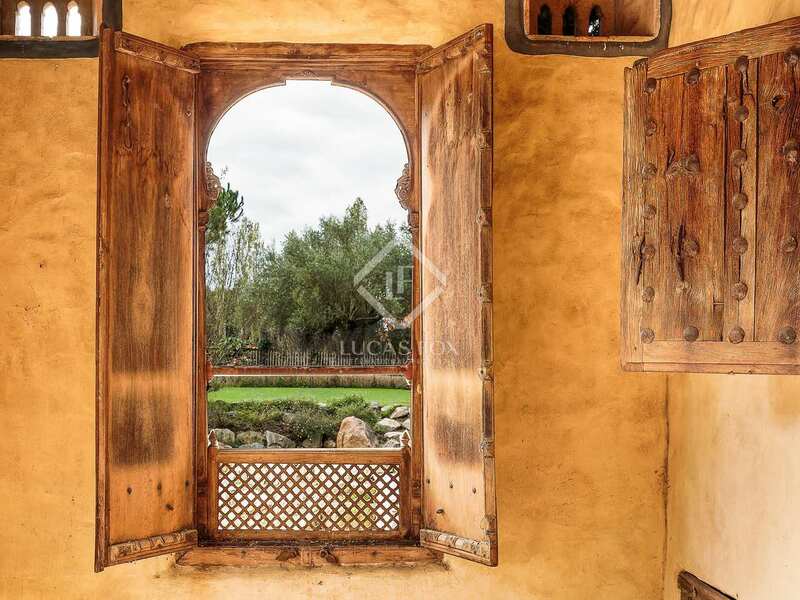 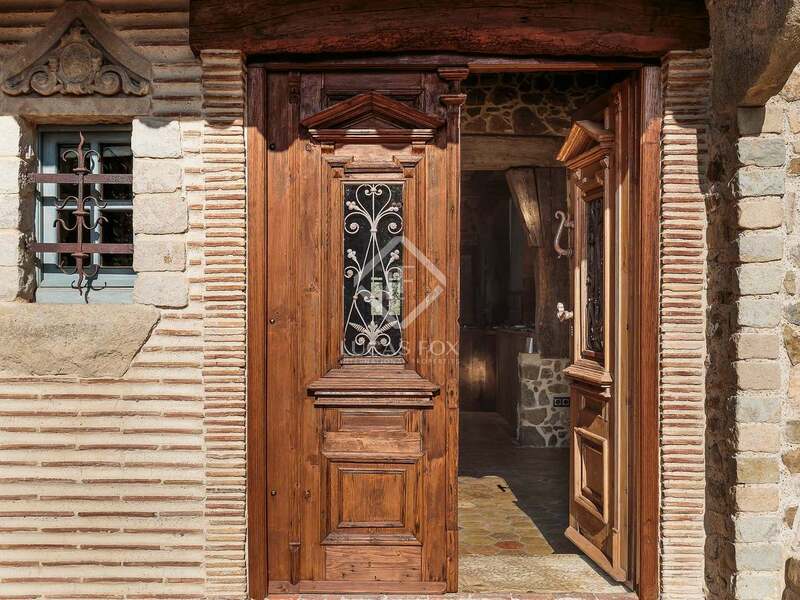 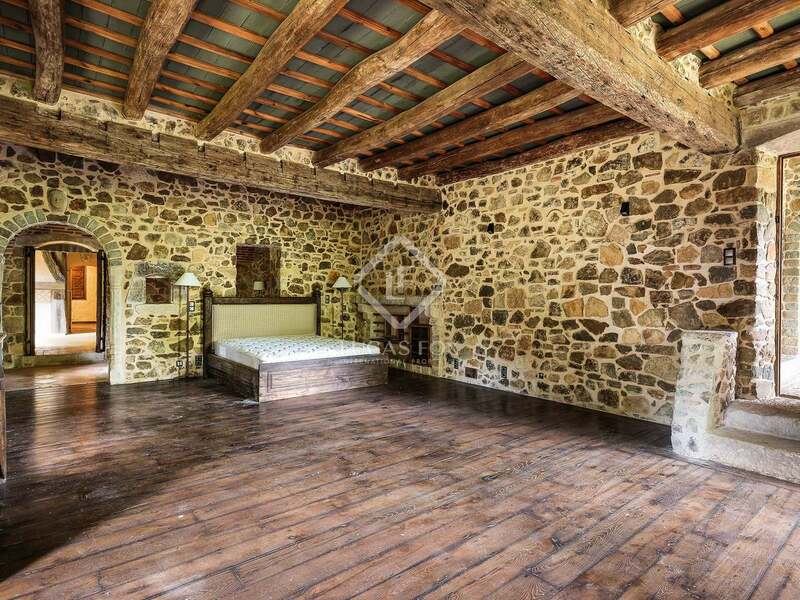 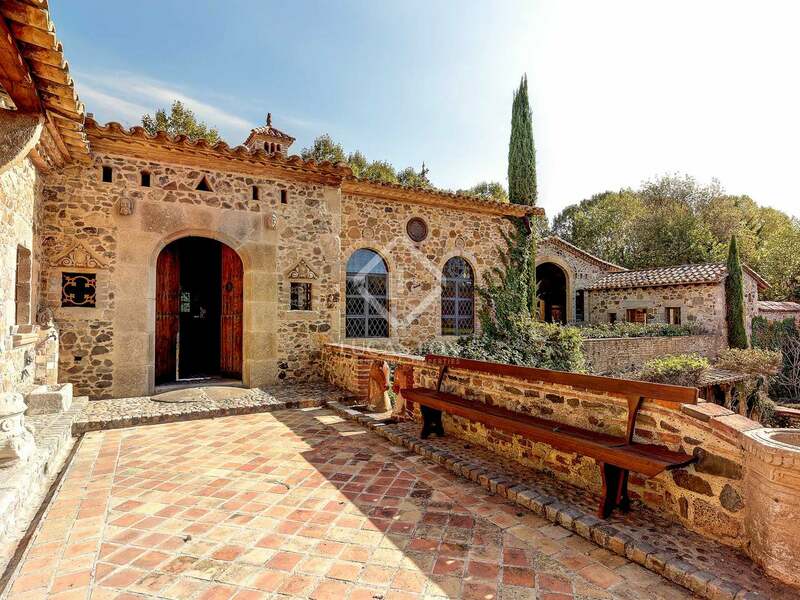 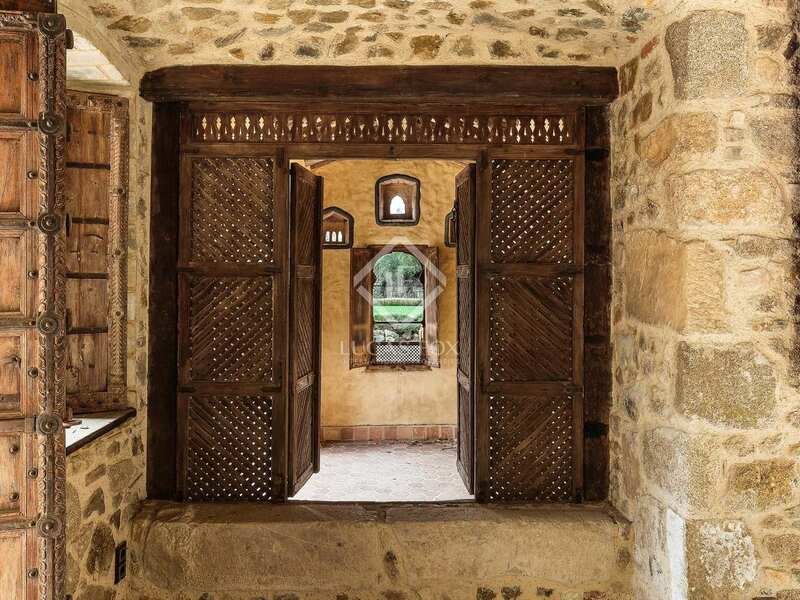 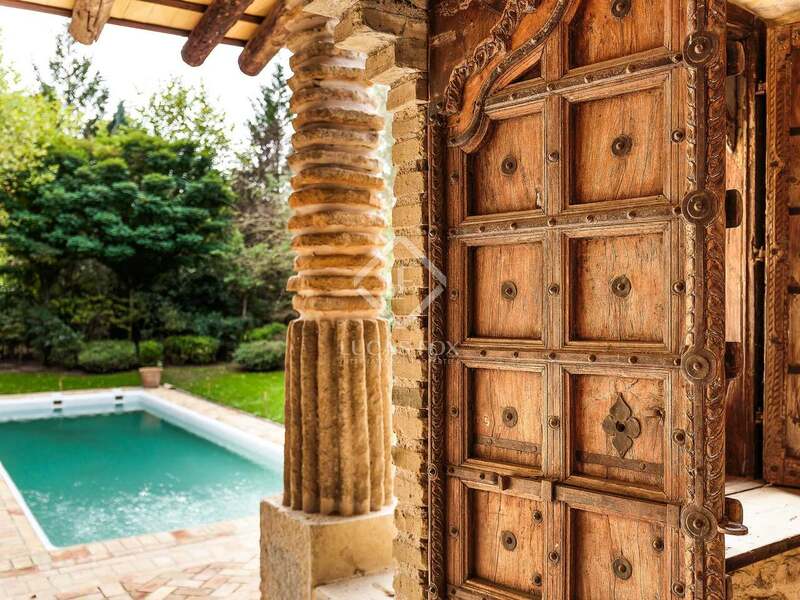 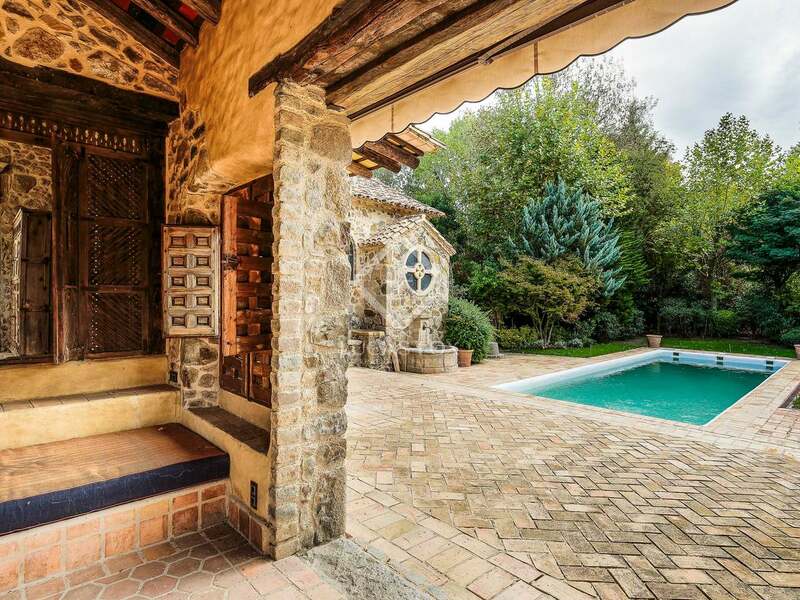 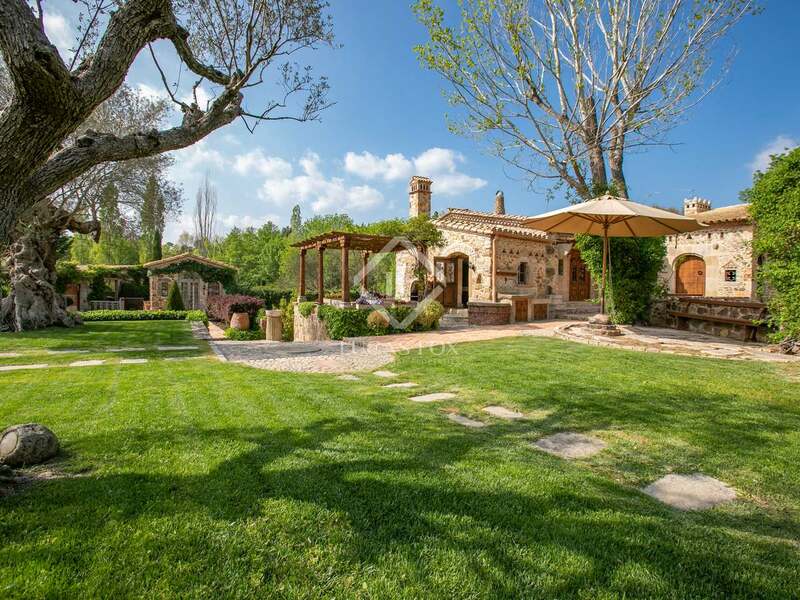 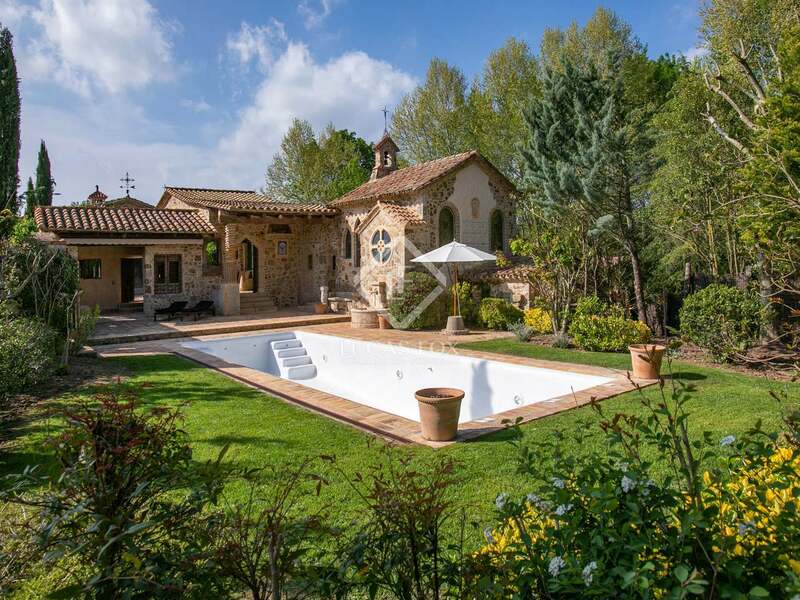 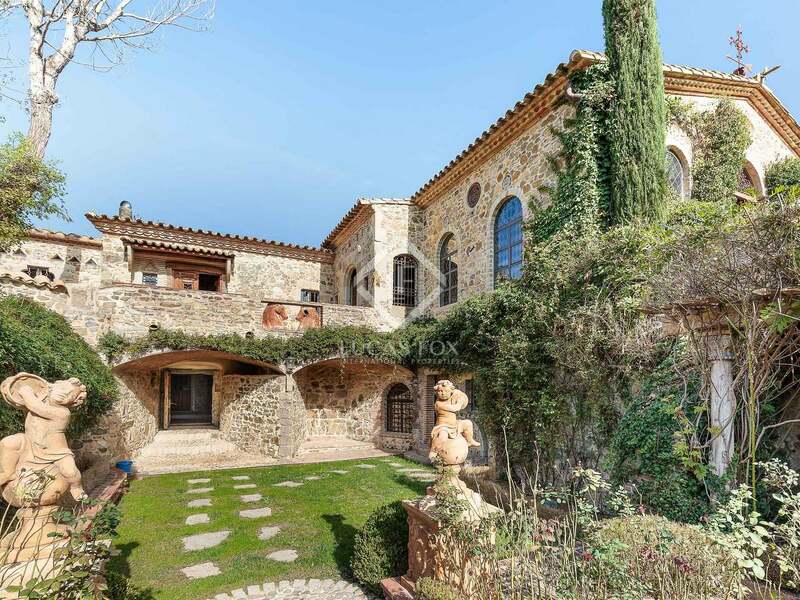 It was restored using authentic antique materials (sourced both locally and abroad) and boasts hand painted Catalan ceilings and beautiful antique wooden doors throughout. 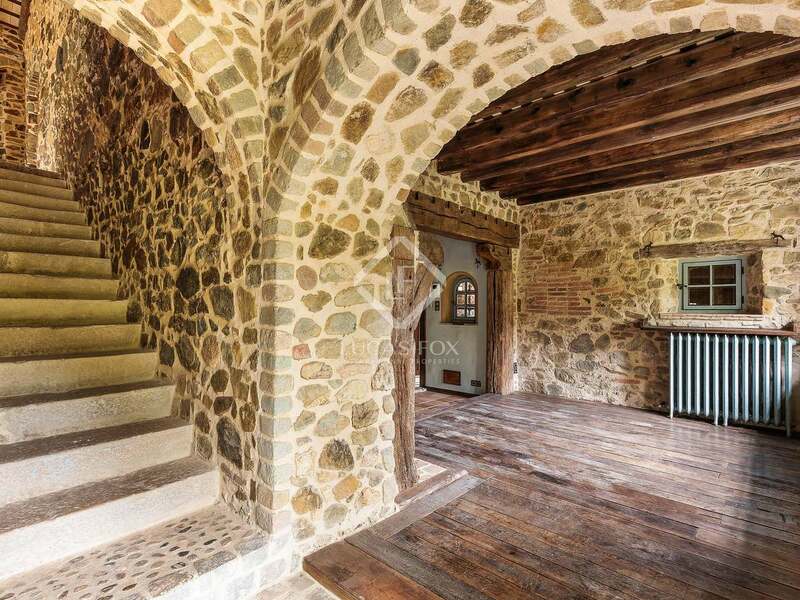 The main house (1,026 m²) is set over 2 levels and is brimming with original features. 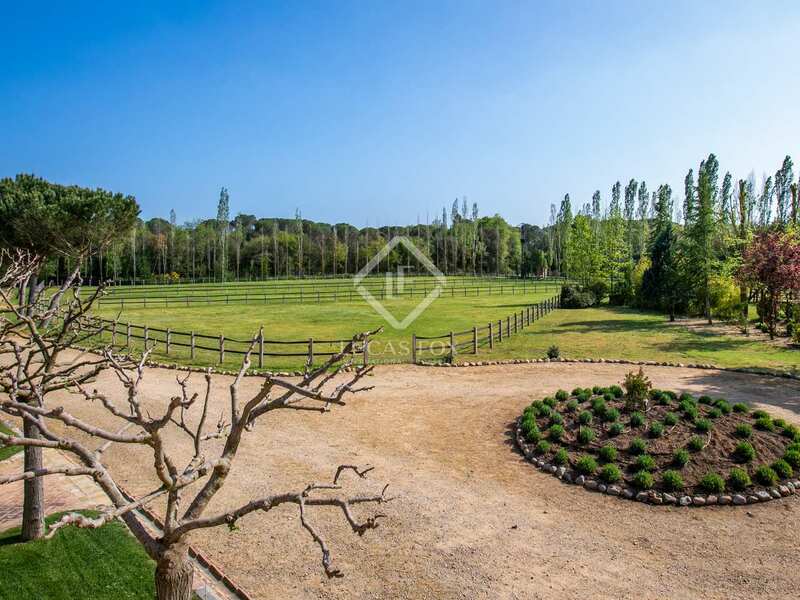 It offers 3 bedrooms including a spacious guest bedroom with a large en-suite bathroom and an ample sized master bedroom with 2 bathrooms and extensive dressing rooms and wardrobes. 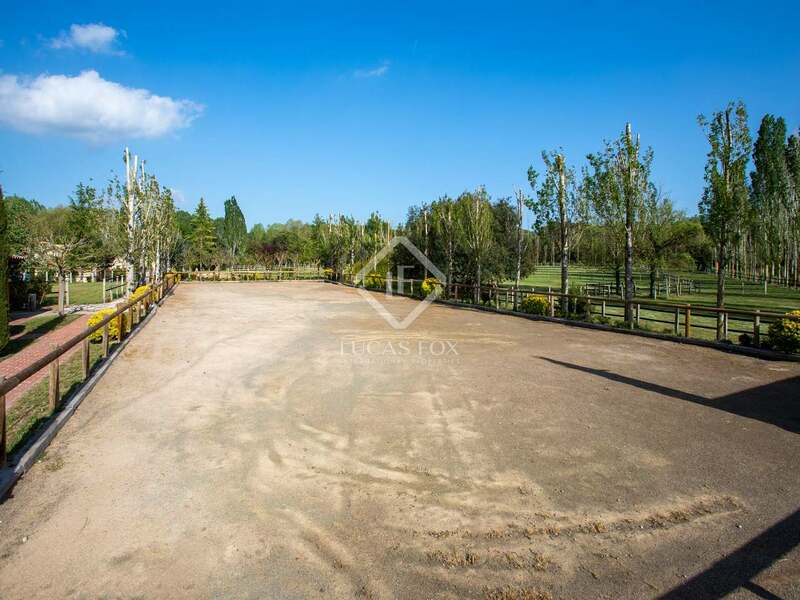 The equestrian facilities offer additional guest or staff accommodation including 2 fully independent apartments (1-bed and 2-bed). 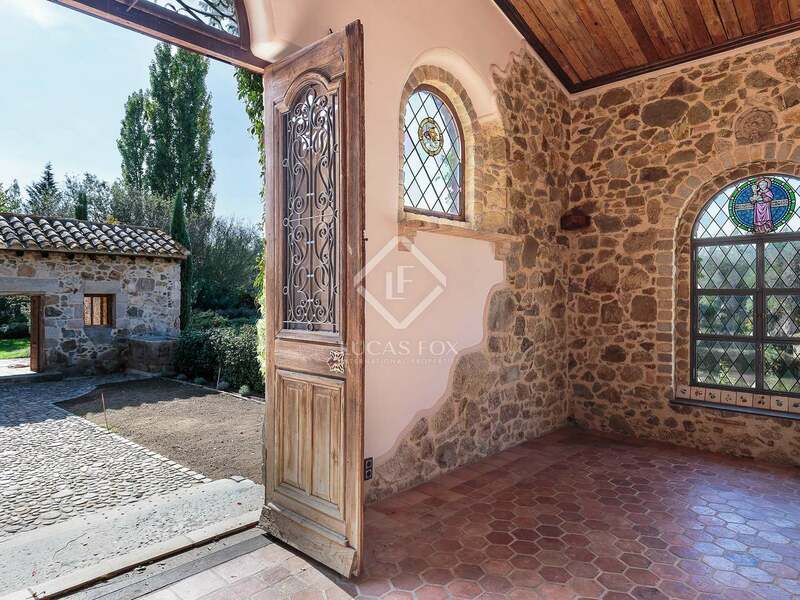 The property enjoys charming countryside views and is in good, move-in condition, with the potential to create a fourth and possibly a fifth bedroom in the main house if desired. 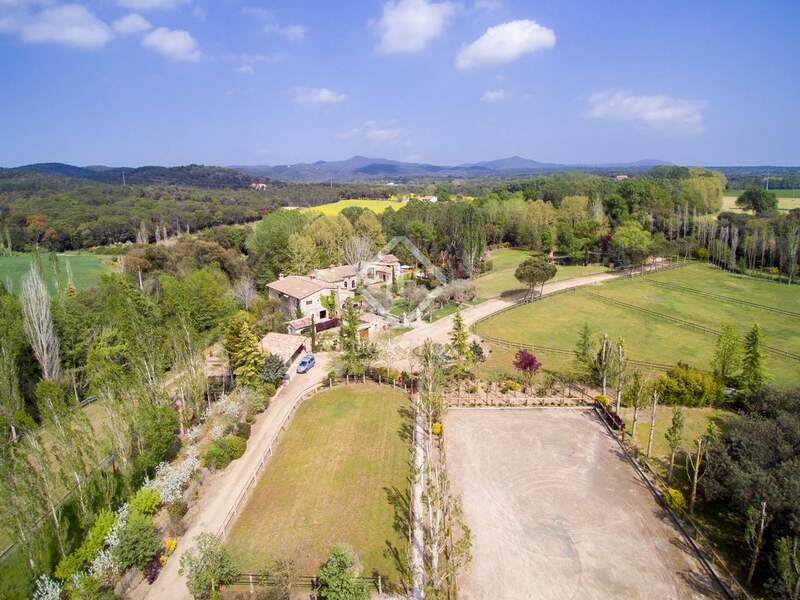 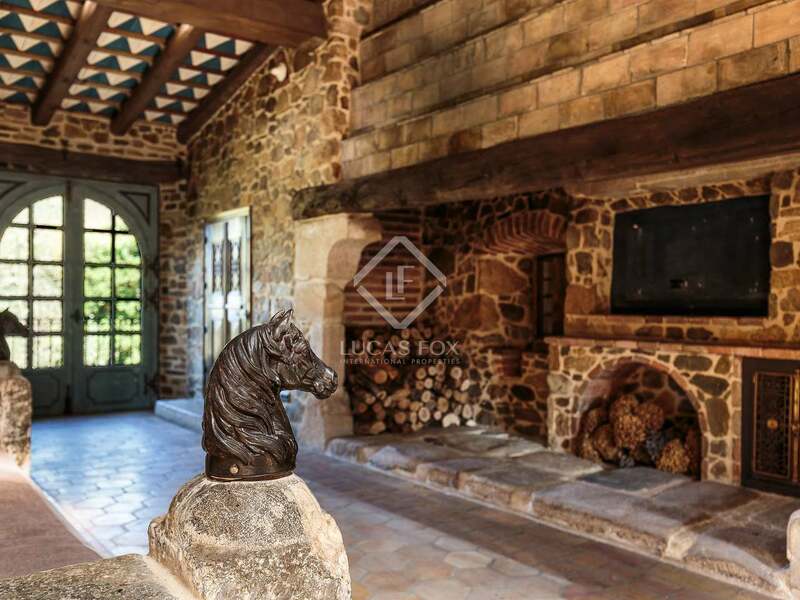 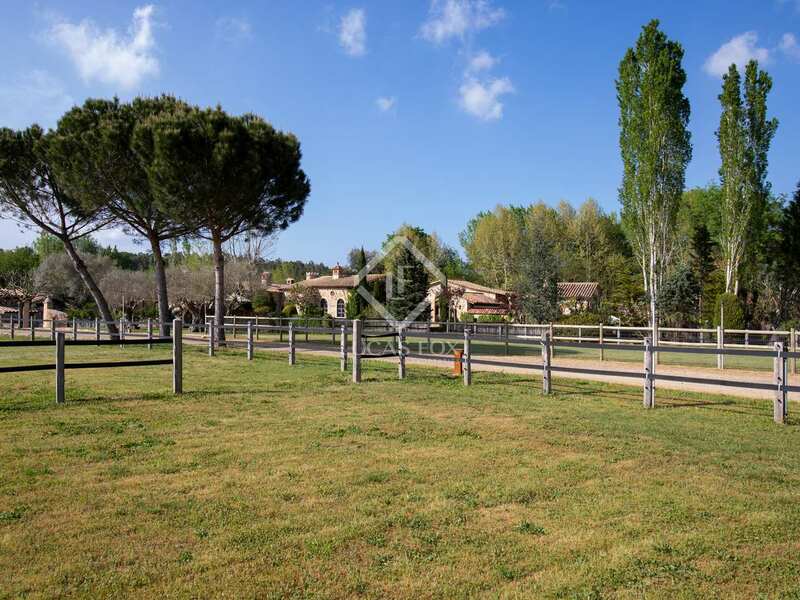 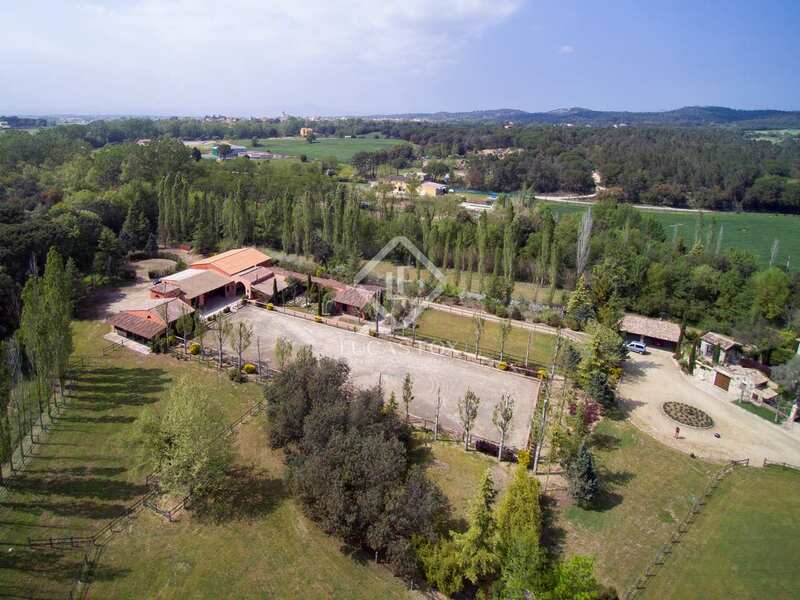 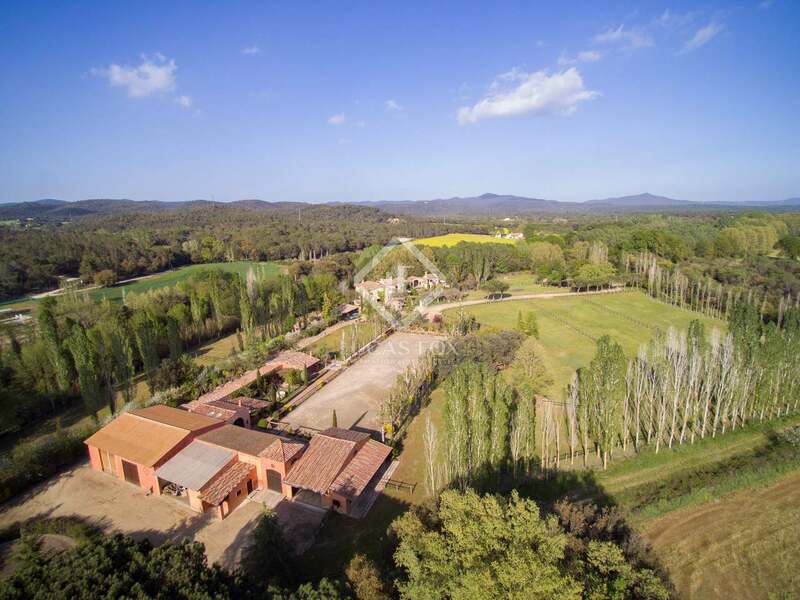 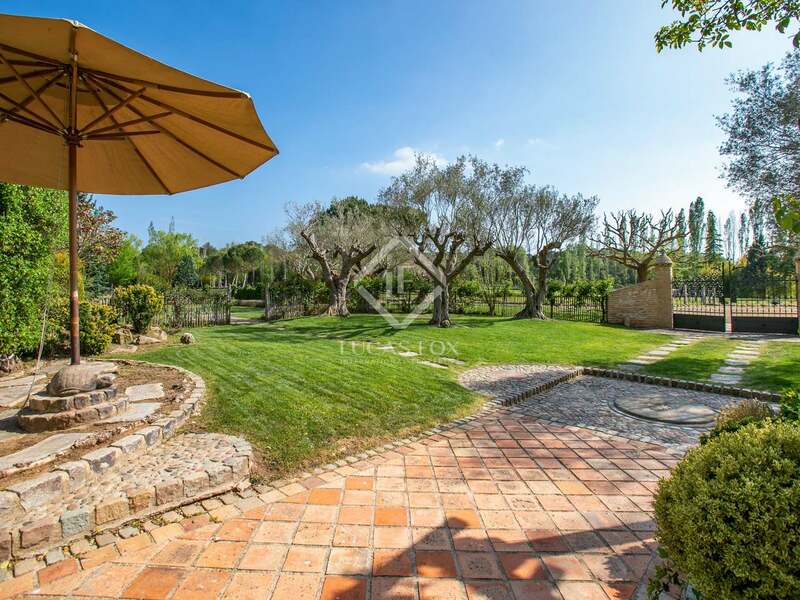 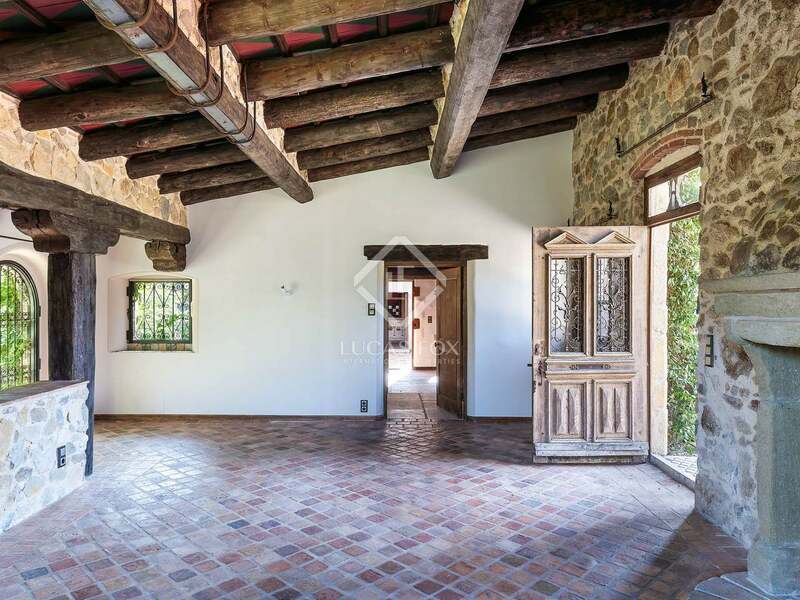 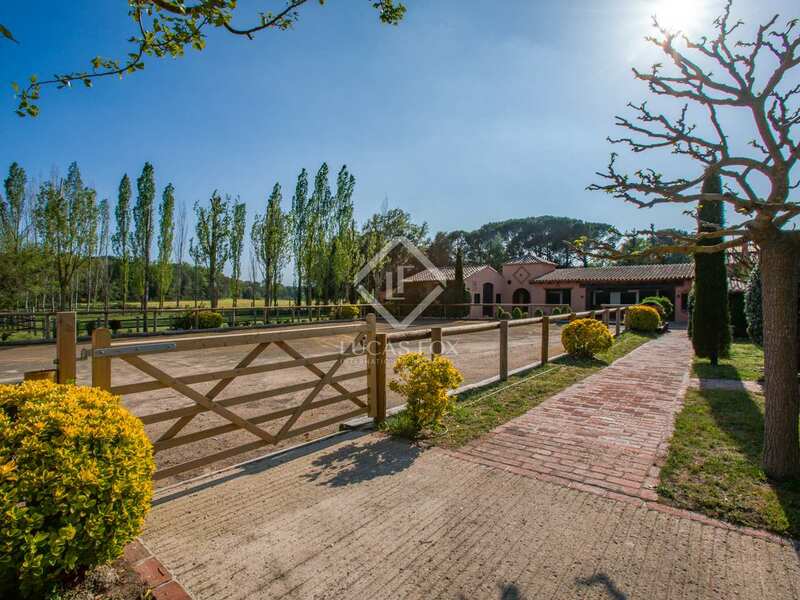 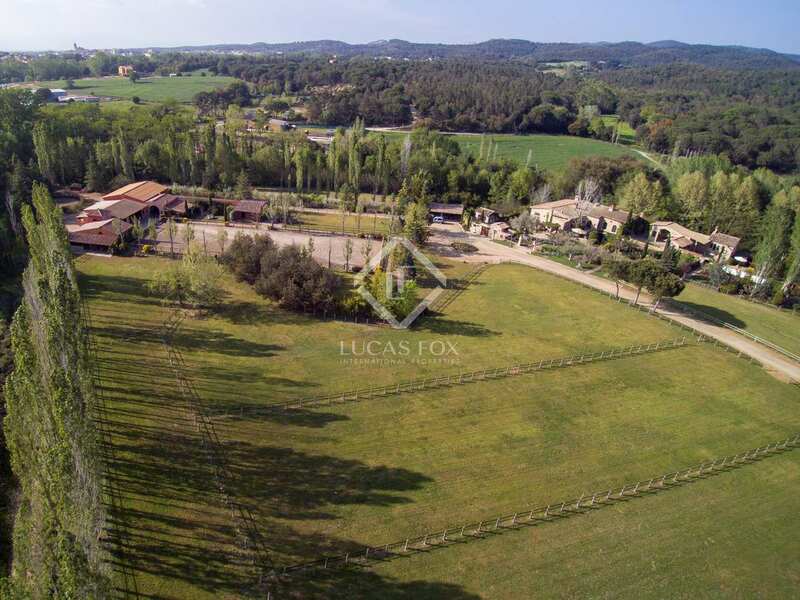 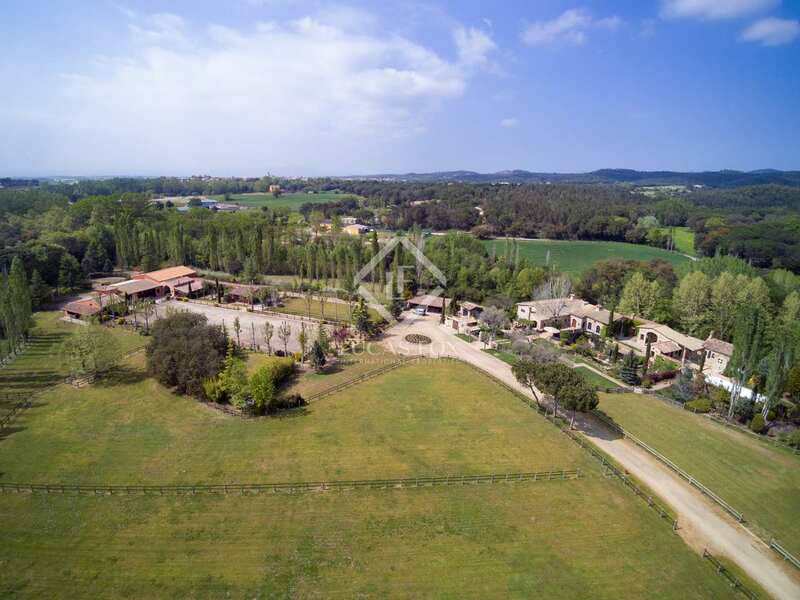 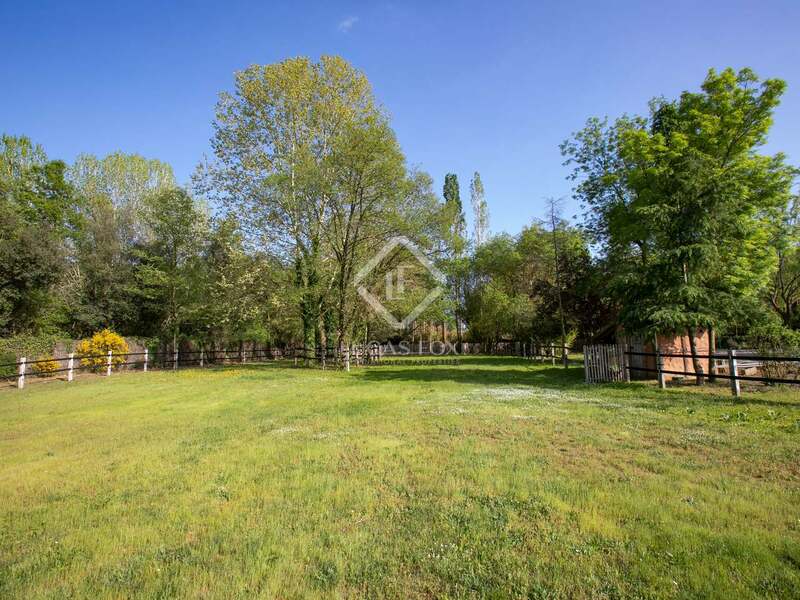 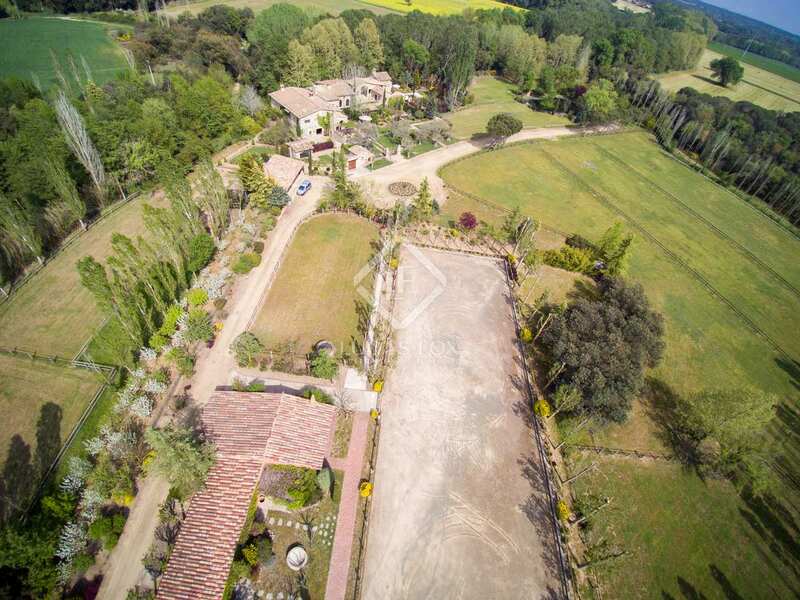 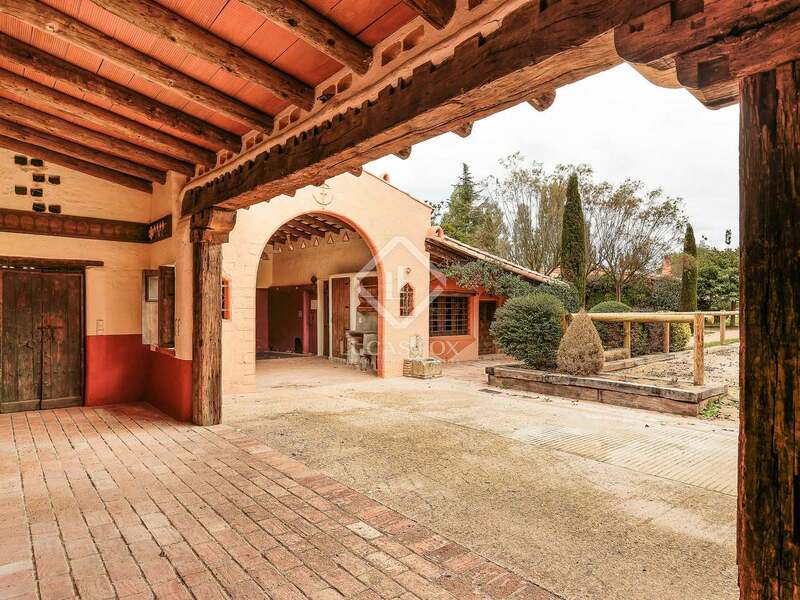 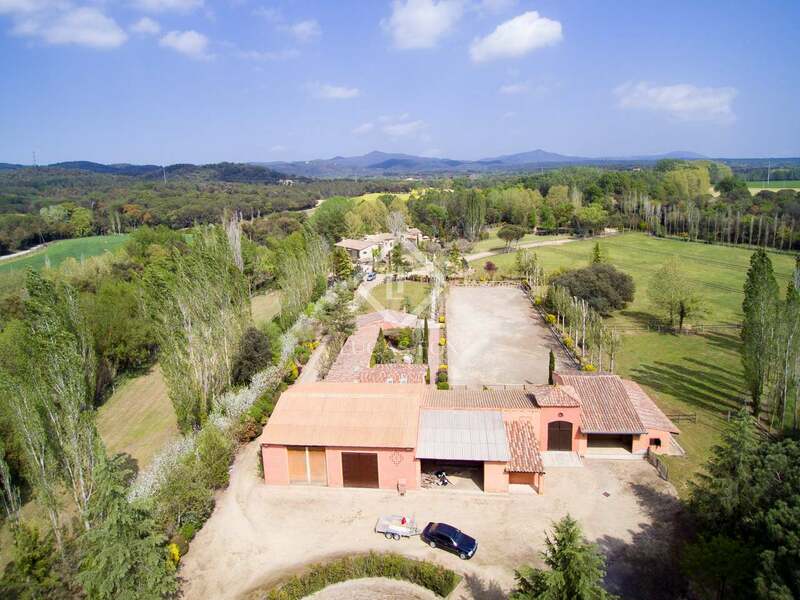 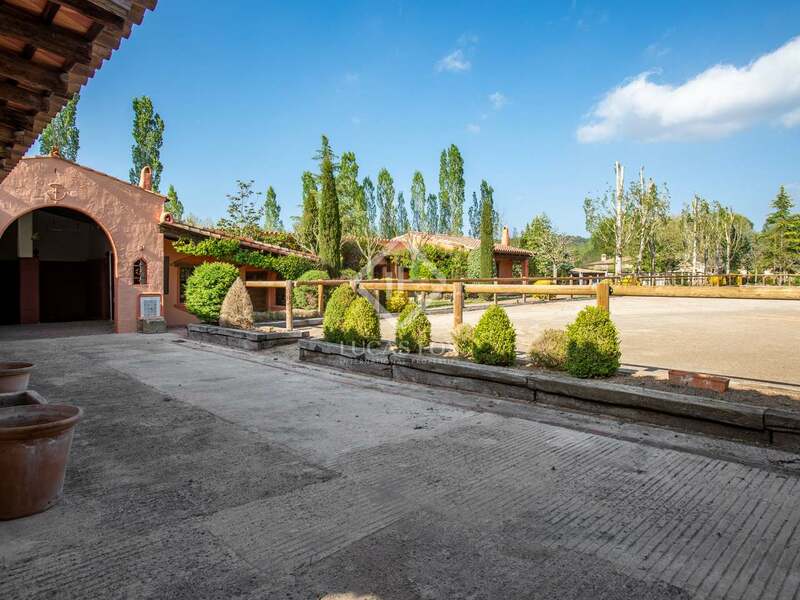 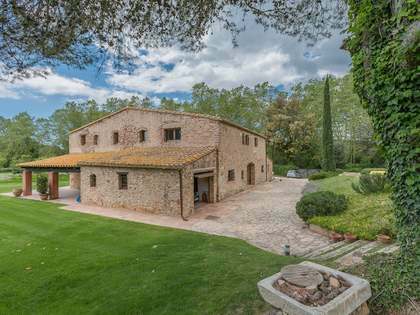 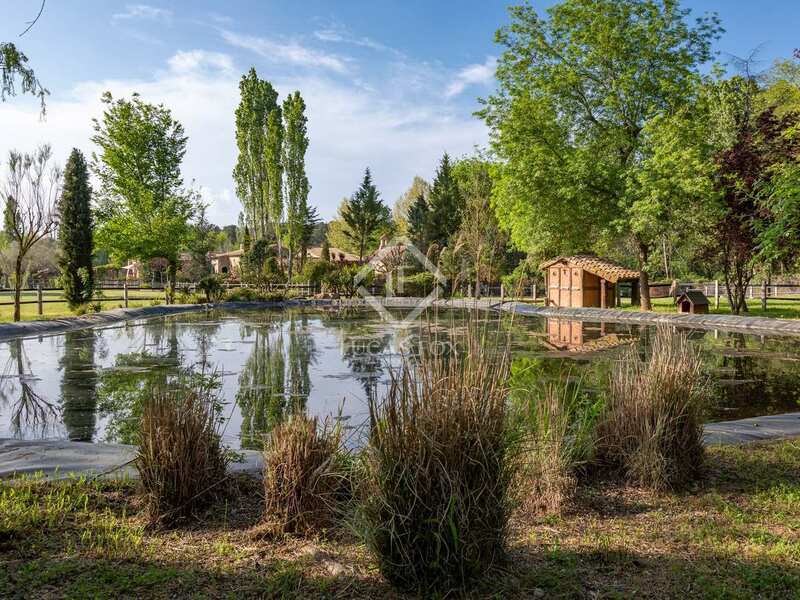 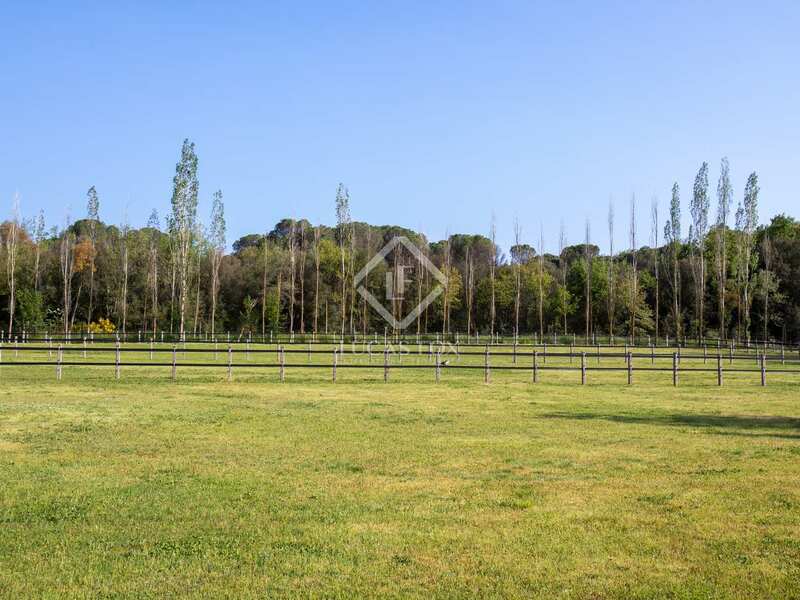 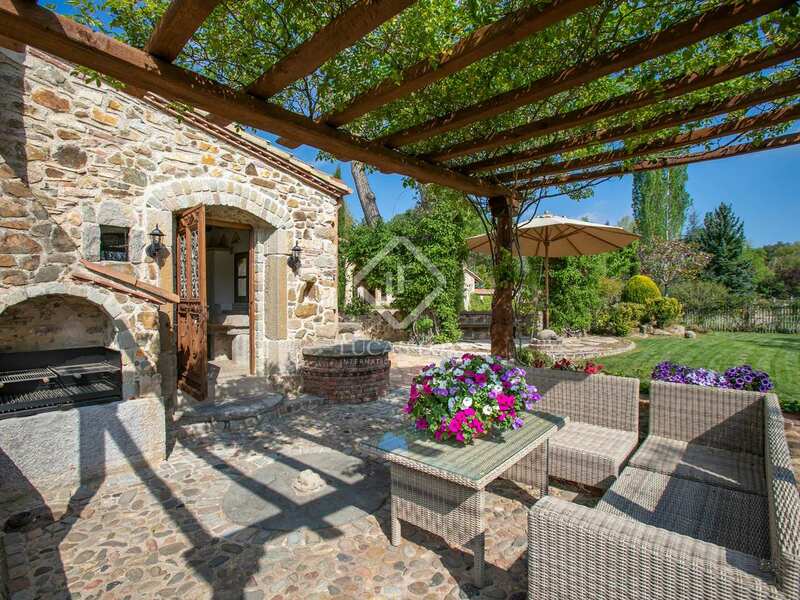 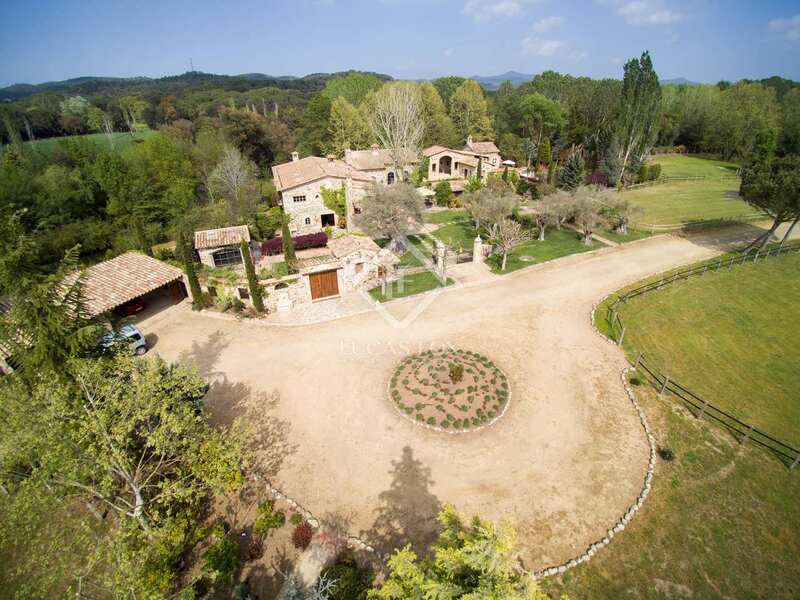 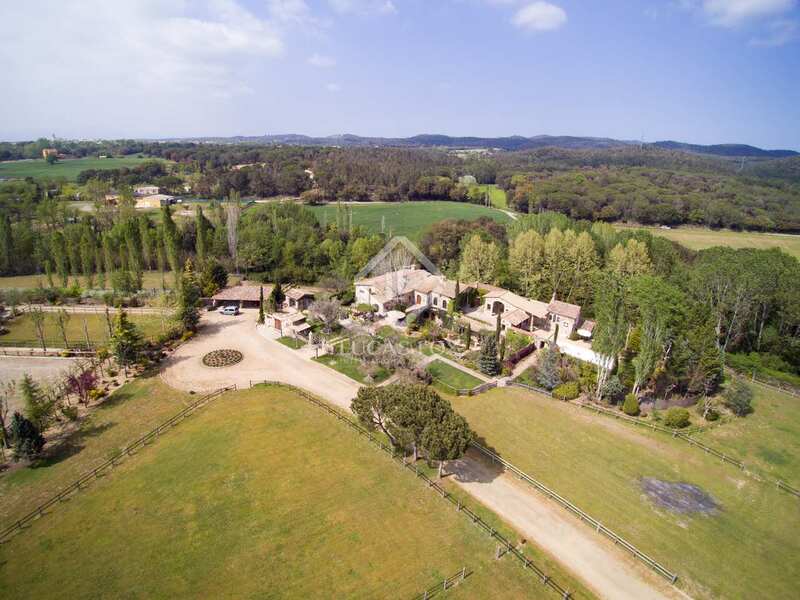 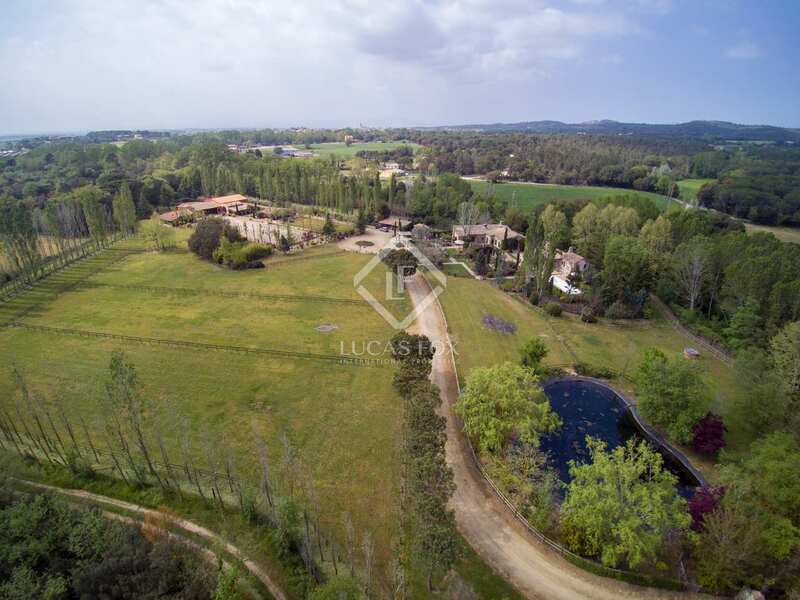 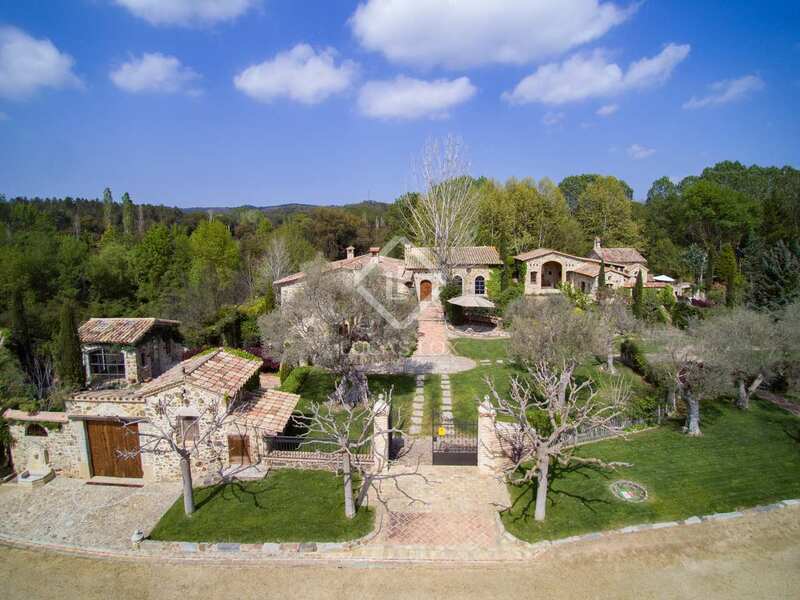 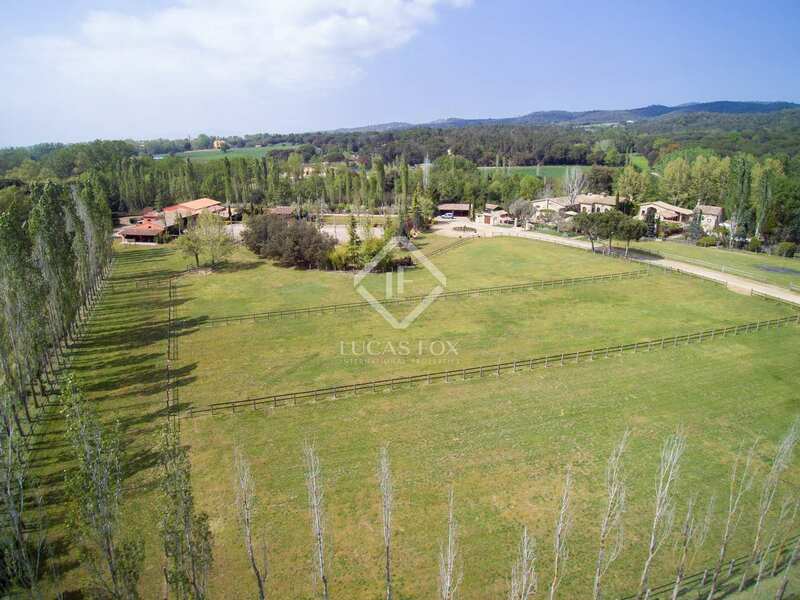 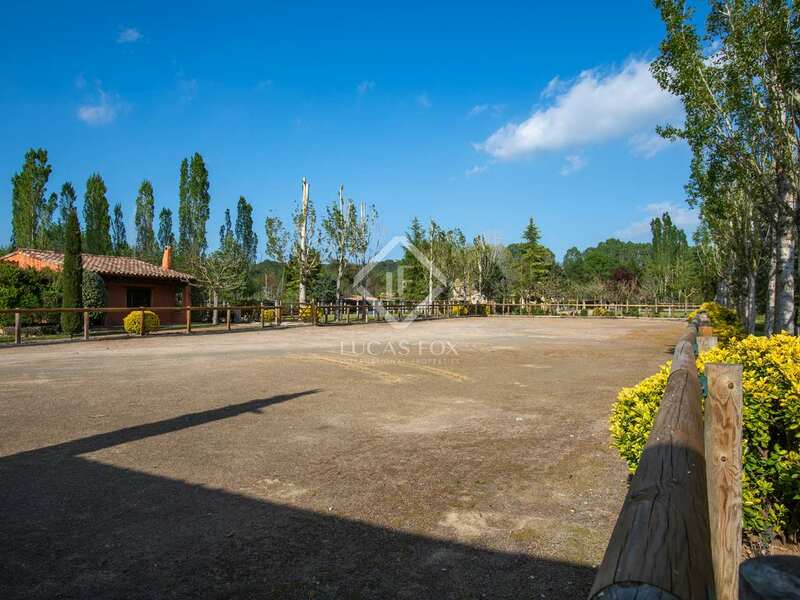 An idyllic equestrian property for a family looking to live year round in one of the most beautiful rural areas of Catalonia. 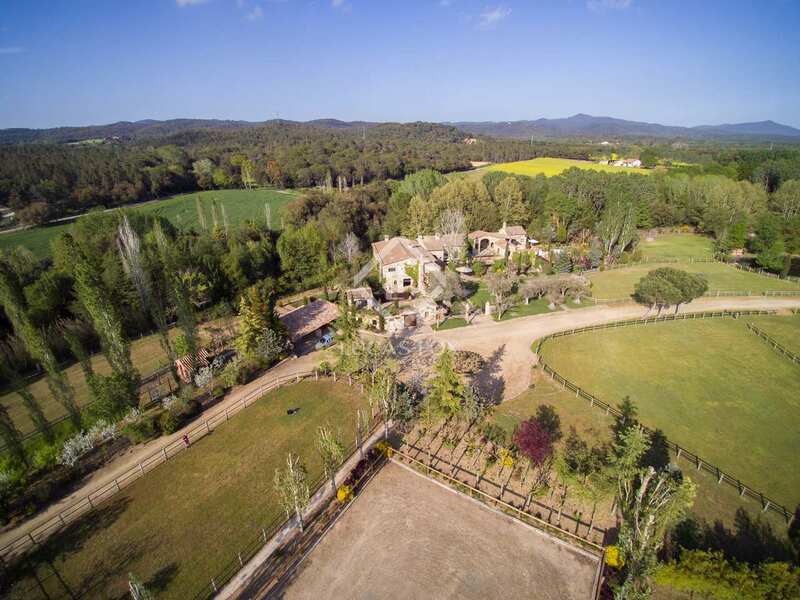 The property is located just 3 km from the nearest town and only 15-minutes from the nearest city and international airport (Girona). 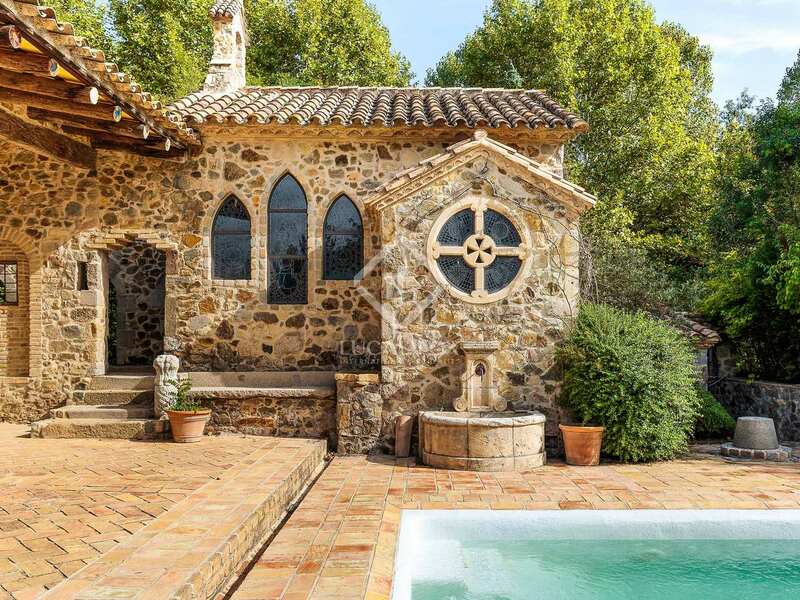 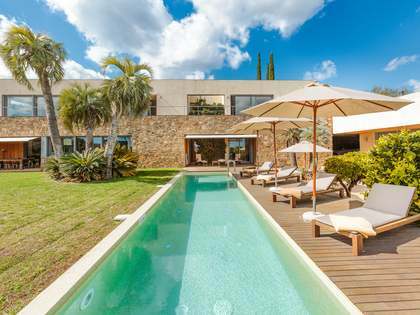 The nearest beaches of the Costa Brava area just a 20-minute drive away and the nearest Championship golf course (PGA de Catalunya) only 15-minutes from the property.